At the heart of the book are the data. A look at chapter 3 would be a good way to get a feel for my approach. 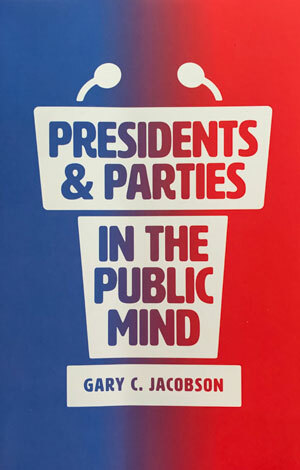 The material in this chapter was the first I analyzed, and the graphic depictions of the relationships between attitudes toward the president and parties, variously measured, make these relationships very clear. Specifically, the figures on pp. 35-39 and 48-50 will let readers know what excited me about the project in the first place. I also recommend looking at the section on party competence (pp. 63-71), especially table 4.1 on p. 67, which shows the remarkable consistency with which presidential performance has shaped party reputations for dealing with the most important national problem across every administration from Truman’s to Obama’s. Readers interested in generational imprinting of partisan attitudes, which bears on how Trump might shape the future party coalitions, should look at chapter 7 (p. 144-150) and chapter 9 (pp. 198-208).